Finish Golden hardware Silver hardware Antique gold hardwr. 1. 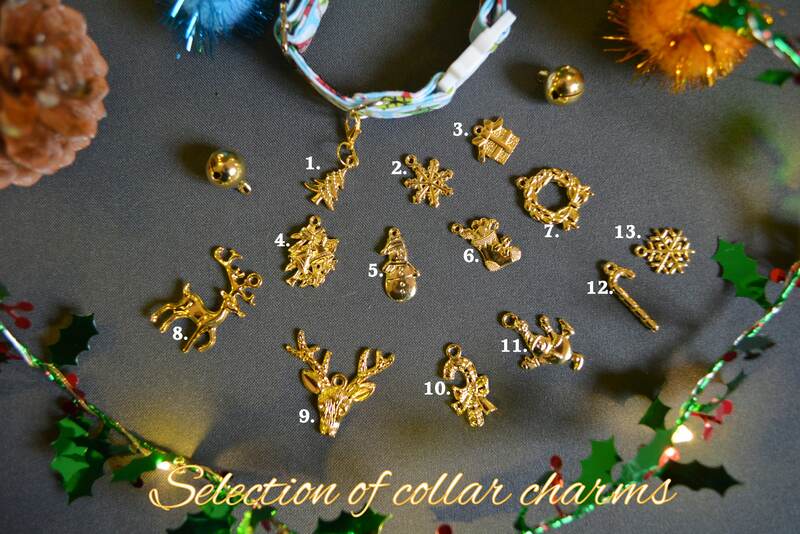 A collar with a breakaway or non-breakaway* clasp. 2. Metal hardware in gold, bronze/antique gold or silver colours. *non breakaway buckle is made from lightweight metal that will match your hardware (length adjuster and d-ring) and is suitable for adult cats and dogs. 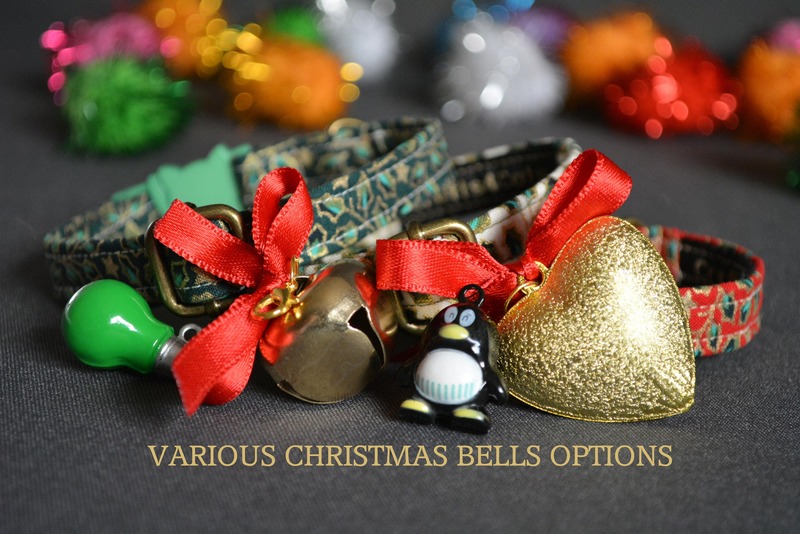 - bells and decorations are optional and can be purchased separately as an add-on. 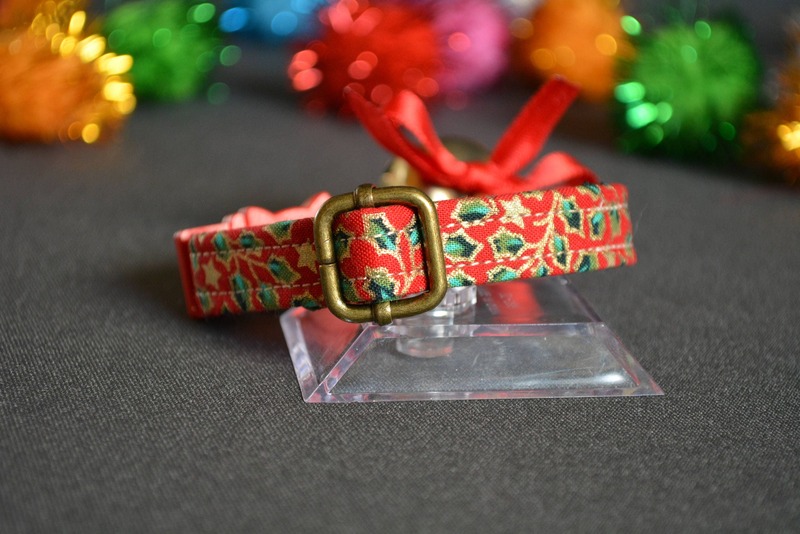 Please use code XMASADDON FOR A 25% DISCOUNT ON ACCESSORIES when purchased with a collar.